How can I reuse or recycle tea light candle containers? | How can I recycle this? How can I reuse or recycle tea light candle containers? I have lots of tea light candles…metal container as I use a lot of them. 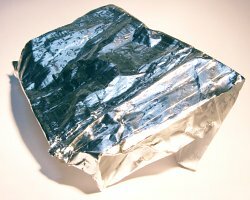 The ones I’ve seen tend to be thick aluminium foil so they could probably be recycled along with your other aluminium products – we can doorstep recycle them here. But I hear you Bob: reusing rocks! 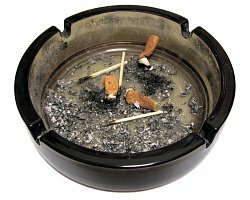 I’ve seen them used countless times as miniature ashtrays – but ones that are thrown away after use, so that’s not exactly much better than throwing them away in the first place. Could you pick up some candlemaking supplies and refill them? Or put them on strings as a bird scaring device. Or you could fill them with fat and use them as small bird feeders — say if you have a rat problem and don’t want to leave tonnes of food out. Probably not the answer you wanted, but why not just switch to votives, which come without the metal surround and are not much bigger? 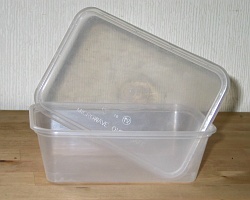 You can put them in/on a reusable fire-safe container. A few drops of water underneath your votive will allow you to pop any unused wax right out of the candle holder. You truly only need 2-3 drops. Your candle will crackle a little when it gets to the end, but otherwise you won’t see a difference. I was amazed at how well this works when I first tried it. Good luck. A good trick for getting wax off holders is to just stick the holder in the freezer. Freezing contracts the wax and it pops right off. Occasionally, I will still clean my candle holders with a bit of hot water to make them shiny, but sticking the containers in the freezer for an hour or so (or longer) really works very well. If you are crafty, you could make a lot of things out of them. I used one to make a mini pin-cushion ring. You could collect them and make modern garlands, ornaments for Christmas, etc.. The possibilities are endless. are u still in need of empty tealights? Just came across this chat finding it very informative. Wow, I’ve got a fireplace full of glass jars with tea lights in them! I’m now going to save all the tea light tins to make into garland next Christmas. Great idea! PainChaud – Just put a little water in the bottom of the container you put the votive in, then put the votive in the water. No dripping, no wax in the container, easy. If you get wax in a glass container, let the wax go hard, then fill the container with hot (not boiling-or you’ll break the glass) water,let it go completley cold..overnight is best. You’ll then be left with a hard wax disc on the rim, which you can discard and your glass will be clean. ps. im a florist and i use the empty tealight holders to put wet florists oasis into, to make small posies for cake tops!! Adorable! You could use the same idea for place card holders. What a sweet way to give a little ‘happy’ to a friend or neighbor. soap molds? You could make fun soaps for tween party favors, shower favors, etc. Wrap a few together in a cute bag with a great tag for a great gift. I came across this because I’ve been wondering the same thing. I have a small garbage can 1/2 filled now with more I will be adding. While I am looking for something to make them into I don’t have the time right now. If you could still use them for your project let me know and I’ll send them to you. hello; take the tin put it over face on pic. then trace around& cut; poke lil pic. inside; pull edges down a lil put magnet on back on put on frig. what ya think?? lil shadow box tin!!!! Have you tried Soy Candles made from from soy bean oil? They produce a non-toxic, no petrol-carbon soot. Paraffin wax releases thick black soot when burned, as well as 11 documented toxins. 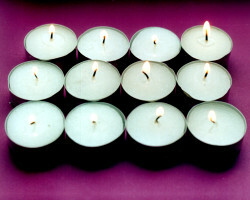 Soy Candles are Environmentally Friendly – a renewable source. 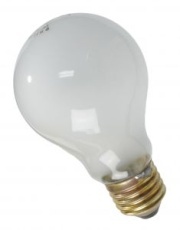 Also Soy wax can be easily extracted from glass, tin, and other material for recycling. I am across this and thought of sharing my views too. Give them to a Montessory/schools so they can re-use as paint holder for artwork or to be used as any creavtive item (Teachers and children are creative, so they will make use of it. There is another advantage, children will also learn to recycle things (show them to recycle not only this item, all other waste too so they can keep the practice even after they leave school) Imagine what a different it will make to this environment. I use organic candles made of vegetable oil, so there is no waxy residue left when it is all burned up. Then the containers can be recycled with normal aluminium. I would be concerned about letting children have them — the edges could be sharp! I don’t use them very often, but when I do, I recycle them as foil. You could use them to grown cress in? acrylic paints. Sculptors could use them as well. I bought a tealight sampler pack from a candle party thing, but the candles didn’t come in tin holders, they came in sturdy, clear plastic cups with little nubby feet on them. High-class tealights or what? I’m planning on using them for mixing my paints, though there is no way these would be useful for acrylics, just too small. They will be perfect for watercolour or ink pots. Jars from bigger candles are brilliant for cleaning my bushes, since they are often wide mouth and I can get the big brushes in there. But I just don’t have a need for 36 ink pots that don’t have lids. The soap thing is a good idea. …if I still had my Polly Pocket collection, every little heart or star shaped house would have it’s own hot-tub. I just started collecting the nice plastic ones from PartyLite to put earrings in. Good way to separate earrings, and takes up less space than ice cube trays. 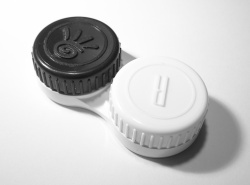 You could also use them for pins or paper clips or other small office supplies in your desk. you can make a butterfly out of used candles by making a leaf shape by folding from both the sides of the tealights . Make four pieces and arrange it as wings on two sides. For the body of butterfly roll one tealight nicely . arrange everything and stick to bring a shape of butterfly. Make more butterflies and hang one below the other which will look like a wind chime. I tried to contact you via email to ask about your exchange of empty tea light holders for bees wax candles but your automatic email response system declined my email. I would be happy to send you empties. How would I go about doing this? I have lots of empties to send. Your full address? If you are still interested in tea light tins please send me your address. I would be happy to mail you some tins. Poke a hole in the bottom (center), podge and glitter inside (and outside if you like), place a single light from a string of small Christmas lights through from the bottom and give your lights some umph and sparkle. Sort of like a down sized version of those old fashioned backings we used to have when I was kid for those big old tree lights. Use them as forms for making candies or jello. Glue them to ecah other and use to keep small items like beads, nails, etc. You can hot glue them to each other to form circle and then hot glue small bunch of leaves or flowers inside each container to form wreath. Place beans in one container, glue the other container on top to make closed cylinder. Decorate with fabric, ribbons. Your pet might enjoy playing with it. Make needle holder, cover wooden door knobs to change look, cut shapes out of playdough, build robots, make wind chimes. A couple appear interesting…However as foil reflects heat was wondering if like bubble wrap could be used on much the same way….Eitherway that’s what i intend to try. .As such a shame to waste..